12,000 people have signed up to ride their bicycle to work Friday in the Washington, D.C. area in celebration of the 57th annual Bike To Work Day. The nation’s capitol ranks sixth on a new list of the Ten Most Bikable Cities. America is way behind much of the rest of the world in urban cycling opportunities. 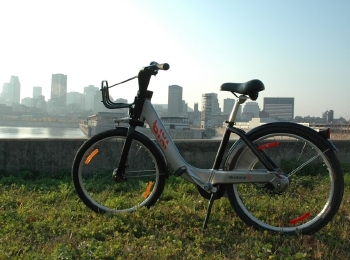 In fact, Montreal is the only city in North America to make a list of top 20 biking cities globally, but there are some bright spots. Biking map site BikeScore has ranked the country’s most forward-leaning cities for cycling, accounting for factors like bike lanes, hilliness, route options, and number of commuters. Among the worst are Fort Worth, Texas, scoring 38.5, and Charlotte, NC, with 35.